The XANTHOS-lite was developed to give the end user a lightweight solution for the popular “large frame” 308 (LR308/SR-25) pattern of firearms. The XANTHOS-lite is geared towards the user who want’s quality material, design, and functionality in a large frame build. The XANTHOS-lite shares the common DPMS HIGH standard for rail height, and will accept most accessories on the market. The lightening cuts on the top of the receiver feature a tapered design to give aftermarket rails a seamless look from receiver to rail. 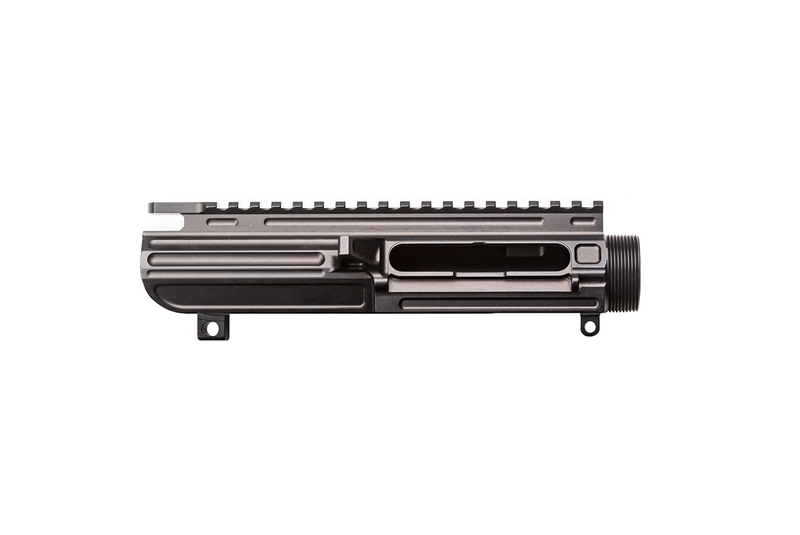 This is perfect to build a complete upper in a second caliber for your existing Xanthos rifle. NOTE: Because of the non-standard state of the large frame market, some accessories may not work with the XANTHOS-lite upper. Although every effort is made to make our products as compatible as possible, the XANTHOS-lite can not be guaranteed to work with all products on the market. We recommend only using this upper with an existing 2A Xanthos-Set.